It’s a break free kind of week Aries. Adventure or the desire for freedom stirs you soul. Just ensure that this does not tip you into a ‘throw the baby out with the bathwater’ situation. However, this does not mean that you are not justified in wanting more right now. Something may be restricting or confining you on some level and this week tells you it’s time to take action on it. Ruler Mars in your 12th is handing you the heads-up sitting within the mysterious intensity of your 12th. Your skills especially your intuitive and creative ones, are at their peak. You see things in a way you could not before. Mars angles to Jupiter showing you the way forward but it is going to require an effort on your part. S/he who dares wins! You are feeling unselfish and generous now but please be discriminating when it comes to showing your generosity. Someone could take advantage of you or show you a side of their nature you don’t like. If so – you know what to do. The Sun joins Jupiter in your 9th is week – adding to that desire for something bigger. The full Moon in your 3rd opposes Jupiter and impacts on Mars as well as angling to Venus in your 7th and Uranus in your 1st. You may realise that someone or something is holding you back and the scales now need to be rebalanced as a result. You may feel in a position where you have to choose between two options and pulled between them. This in itself could be the cause of feeling trapped. Take a deep breath and speak your truth from a place of calm as your feelings may feel so intense they get in the way of what you want to say. This is your house of ideas. You have the capacity to channel solutions to almost any problem now or use this ability for work or business inspiration. Yes this week is intense, but it will let you into the zone where you can create something so much better for yourself. In a nutshell: Your intuitive and creative skills peak this week. 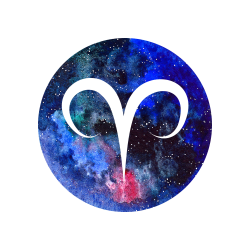 Channel some freedom making moves courtesy of the full Moon, Aries. And dare to go after something better! How valued do you feel? 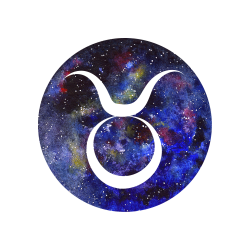 You’re in the mood for change this week, Taurus which is unusual for you are you are a sign which enjoys maintaining the status quo. However much that comfort zone appeals, even you will see the need for some dynamic and much needed transformation. Just remember that if we do not set in motion the changes necessary for our soul evolution, sooner or later the universe will step in an initiate them anyway. And usually in a way we don’t like. Being an Agent of Change often requires courage and faith in our own abilities. You’re being pointed in the direction of a future that is so much more boundless and richer than what you have experienced to date. The question you’re being asked is: are you willing to travel there? The Sun joins Jupiter in your 8th of powerful transformation this week. Radical and far-reaching changes are indicated now. As is you looking extremely closely at the support you are getting from others. This can be anyone from a partner, to friends or your employer. How valued are you feeling? Here’s the thing, when we feel appreciated and valued our hearts open in ways that going the extra mile just seems like a natural extension and way to express the way we feel. If you are shut down or reluctant, step back under the light of this week’s full Moon and look at situations very differently. Especially if someone is making you feel you aren’t doing enough. Sometimes it’s not like that at all. We may just deep down know we have given our all – we just don’t feel appreciated for it. If you find this rings true, then change is the obvious choice. Know your value under this Moon and the value you’re adding in turn. Then have the courage to initiate the change rather than just continuing to be short-changed. That’s your take-out this week, Taurus. 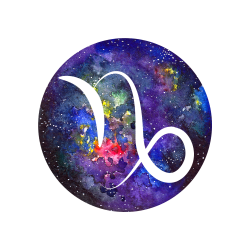 In a nutshell: You’re in the mood for change now, Taurus. Is you feeling more appreciated what truly needs to change? You’re currently in one of the best cycles for romance for the year this week with Jupiter and now the Sun in your 7th house and Venus in your 5th. 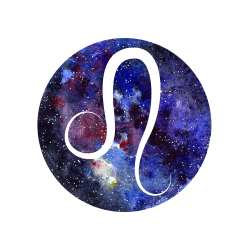 This week is going to act as a powerful searchlight – seeking out and pinpointing who or what it is you need, Gemini. This could be an extraordinary year for partnership matters of all descriptions. You have not had the benefit of Jupiter in this house for 12 years. 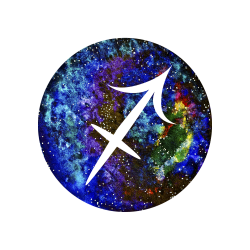 During Jupiter’s stay in your 7th, cycle there are periods when your ability to attract what you desire and your luck in love are increased exponentially. These occur when Venus is in your 5th and your 7th house which it rules. Venus is now direct and will leave your 5th on December 2. It will arrive in your 7th on January 7 2019 and remain until February 2. It will return to your 5th on Sept 14 2019 and leave on October 7 and because Jupiter will spend 13 months in your 7th, you will get one more Venus love shot from November 2 to 25. Keep these dates in mind as they will be periods when your power to attract – not just love but across all areas, will be at its peak. This week’s full Moon in your 1st is that searchlight, Gemini. It’s light touches on Mars in your status sector, Jupiter, Venus and Uranus in its ruling 11th. If you’re searching for love it could be time to try internet dating. No matter what you are seeking – and that Moon throws it into sharp relief as you’ll know what is missing, reach out and connect. Contacts, networks and connections feature. Full Moons reflect the light back into the opposite house – in this case your 7th. Look at who or what is highlighted now. If there’s an empty space, you can fill it whether this is in your personal life or your professional one. You’ve luck when it comes to meeting the right person now or attracting in what you need. Shine a light so it can find you this week. In a nutshell: Radiate that light – and attract back, Gemini! It’s not just love you can draw to you but opportunities to. You know what you need now – so ensure it can find you and shine! Soul work doesn’t have to be serious. This week shows you the truth of this as the Sun in your 5th trines the North Node now in your 1st on the 22nd. Soul evolution comes through romance, self-expression, fun, children or allowing the child within out to play and generally good times. The thing is – all human experiences are spiritual ones. We tend to think that we have to do hard work or even suffer to spiritually ‘evolve’. The answer is – no we don’t. All of it is soul experience. So, give yourself permission to have fun now and attract – and evolve while you do. 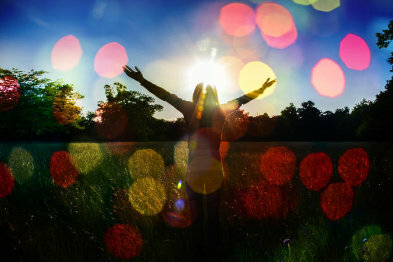 Who thought all this spiritual learning could be so pleasurable – or so easy?! By all means enjoy yourself but don’t overlook the work opportunities that are out there now. The Sun joins Jupiter in your 6th from the 22nd, asking you to focus on work and wellbeing matters. You need to be heard now. Remember, that Mercury which rules this house is retrograde at the moment. This is a good time to go back over those ideas or change up that routine. Hang fast on any major decisions around work however. This week’s full Moon appears in your oh-so-psychic 12th house opposing Jupiter in your 6th so expect deep insights into one particular situation. Dreams may point the way for you. Remember what I said about needing to be heard? This full Moon can have you keeping things to yourself but really this isn’t a good idea. Let your innermost thoughts flow along with the good times. The feel good factor doesn’t need to stop if you share what’s going on within. In a nutshell: If you believe soul lessons are hard work, this week says think again. Your spiritual evolution comes from romance, fun and self-expression. Join the flow of pleasure and ascend! The North Node has exited your sign and moved back into your 12th. This week sees ruler the Sun make an angle to it from your 4th. This may well see something or someone reappear from your past. Your 4th rules your home, homeland, family, roots, traditions, who you live with – flatmates and the like, and your security and sense of belonging. Soul roots and your ‘soul family’ as well as your biological one could feature. You could be drawn back to where you feel your spiritual home is or you realise that the spiritual ties with someone from your past go far deeper than you believed. Where and with whom do you live out your destiny? 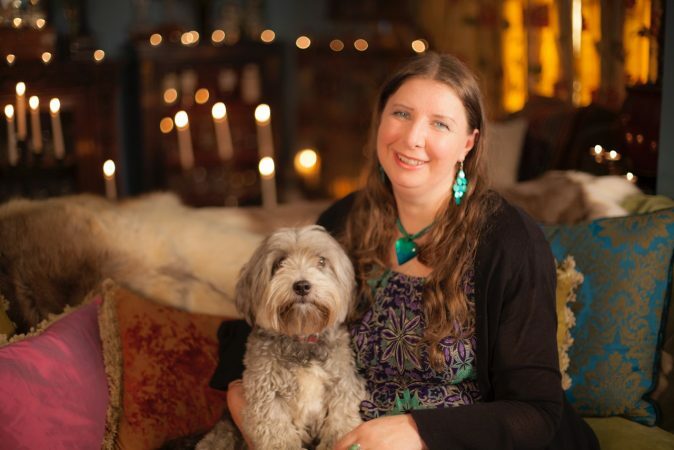 Your ruler is on the move into your 5th – the house is rules and where you feel the most energised and able to express yourself. You’ve Jupiter in here also, paying you its first visit in here in 12 years. As always with the Sun in your 5th this is a time of new beginnings – especially in love or creativity. It’s time to see yourself as the star of your own show and act accordingly. This is one of your houses of attraction and the more you express joie de vive, the more you radiate and the more you attract. Cosmic meetings and intense and sudden attractions could occur under the light of the full Moon in your 11th on the 23rd. Ensure you are with the right people – friends who support you as the last thing you need under this Moon are energy vampires or negativity. Don’t go out looking to meet new people. Go out with those you know where you can talk, enjoy one another’s company, laugh and be yourself. You may be amazed at who gravitates to you or is sitting at the next table. There’s a little bit of mystery around everything this week. That’s how destiny works. In a nutshell: Fancy a date with destiny? Soul roots and your ‘soul family’ feature. You’re being guided to where and who you belong and to, this week. 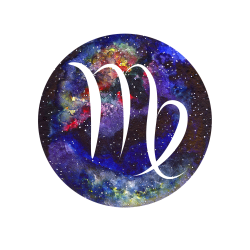 If you don’t feel in harmony with the people around you or the place you’re in, you need to step back this week and ask why not, Virgo? The Sun joins Jupiter in your 4th this week. Don’t forget that ruler Mercury is also a resident in here right now. Bear in mind it is retrograde at present but this energy is perfect for creating that harmony that may be missing. If you don’t like where or how you are living or even working, it is time to step back and ask why? If you love where and how you are living, then look around and see how you can enhance that home or lifestyle further. If you come to the conclusion this truly is not where you belong, start to imagine what or where is. Research a new area to move to or imagine a different kind of lifestyle for yourself. As always with a Mercury retro this is not the time to move, sell or lease property unless circumstances outside your control dictate this. It’s more about gathering information and ideas and preparing to take action on them once Mercury heads direct once more. The Moon rules our home life and security and this week sees a full Moon in your 10th of career and status opposing Jupiter in your 4th. Bring career matters or projects that will enhance your professional reputation on some level to a climax now if you can. You are in a position to impress provided you remember that there is no room for sentiment in business. Look to your long term career path and also how this ties in with those home and lifestyle visions you have for the future. When these are in harmony with one another we are in a position where we can fulfil our long term ambitions. Under this Moon this is no time to be shy about your abilities or what you have to offer. Promote yourself. If you need to rethink your career path along with that lifestyle, this Moon could provide you with inspiration when it comes to which direction to head in next. If you are clinging to something that no longer works, prepare to cut the ties that bind you – and step into the future. In a nutshell: Love the way you’re living? If you do this week provides you with opportunities to enhance your lifestyle. If not, you’ll be inspired to make a moving experience, Virgo. If you’ve been waiting for your moment when it comes to your career, this week could bring it. Time to take action or even witness the return of something you set in motion quite some time ago. This week is very much your ideas-centered week. But when working with them please remember that Mercury which rules your ideas and communication driven 3rd house, is retrograde in here right now. The Sun joins it and Jupiter in here from the 22nd. Because of the Mercury retro, focus on reviving old ideas, rewriting, representing and revising business and communication plans. Check the fine print and proof read everything you send out now. You have the talent for big-picture thinking and Jupiter in here is all about seeing just how far one idea can take you. 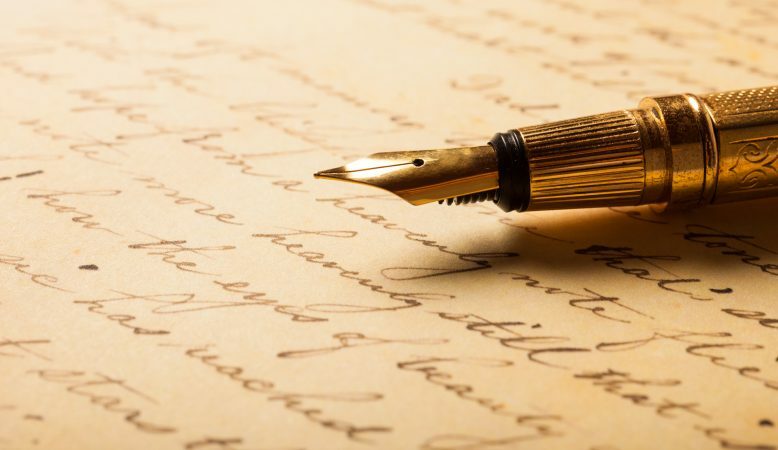 Those broad brush strokes paint a dazzling picture when it comes to getting your point across or even selling yourself. But please, don’t neglect the details. This week’s full Moon in your 9th is your ‘set sail’ Moon. It’s an explorers Moon and all the more so for you as this is Jupiter’s ruling house in your chart and the Moon falls opposite it. It is also impacting on ruler Venus in your 1st. Our 9th house contains our biggest dreams as it is the house of vision while it is our 11th which rules our goals. Follow the Yellow Brick Road and open yourself up to possibilities under this Moon and chart your course towards something you still desire to experience, do or achieve. The theme of the past that’s hanging over all of this now means that a dream of expansion you discarded could come alive again. You see a new way to get to it or it comes to find you. You’re recommitting to a journey this week. Get ready to walk the same path but this time, to reach the end of it. In a nutshell: Follow the Yellow Brick Road towards those big dreams, Libra. You may have walked this path before. But this time – you could arrive at your destination. 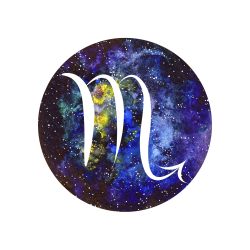 You’re extra resourceful when it comes to earning extra money now or even making better use of what you have, Scorpio. This includes your talents and skills as well as material resources. You’ll know where the money goes and also see ways you can make it go further. The Sun’s entry into your 2nd from the 22nd pulls your focus onto your money and also what you have at your disposal. It’s not so much about what you have as what you do with it that counts. Your bank balance should increase over the next year thanks to Jupiter in here. But you also have a Mercury retrograde happening in this house right now. Look back at past sources of income or to re-approaching a former employer or client. Mercury retro is all about ‘re’ words. Resources is one of those. Chances are if you look closely you will discover you have more at your disposal than what you think. 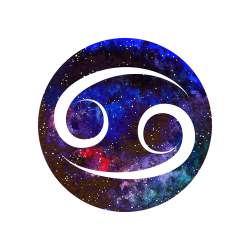 The full Moon this week is in your power money sector which also is your Scorpio-resonant 8th. You feel comfortable with this kind of emotional energy. Go deep when it comes to feelings of inadequacy or powerlessness when it comes to controlling your financial destiny. If you have been operating from a place of lack, look at where these thoughts originated. Chances are they are not yours. This is your house of shared money and resources, debts and credits, loans, mortgages, what you owe others and what they may owe you in turn. Transform your ideas about your worth when it comes to both your money and how you expect to be treated by others. This full Moon doesn’t just mark a culmination of something – it offers a reboot or restart too. There’s those ‘re’ words again. Restore those settings to receive, Scorpio. In a nutshell: Chances are you have more resources available to you than what you think, Scorpio. Look to reviving an old source of extra income and leverage those skills. Join the new rich list. ‘Tis your season of solar return! Happy birthday, Sag! The Sun arrives in your sign this week although the party has already started thanks to Jupiter in your 1st. 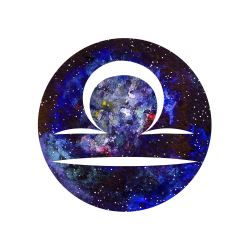 You begin your Solar Return Season with Mercury retrograde in your sign. Don’t despair! This does not mean the next 12 months are destined be like Groundhog Day. Repeat performances may feature however but only in the best possible way. This combination of planets and the Sun means you get to do something you love all over again. Revisit that place you love, return to that goal which you now discover has fresh relevance, or just see a lost opportunity come knocking on your door. Second chances present themselves and your birthday gift from the universe could just be ditching ‘What ifs?’ and ‘If onlys’. Don’t say no, Sag. This week’s full Moon in your 7th waxes your attraction factor. It falls opposite ruler Jupiter indicating you can draw something to you like the tide. Singles could literally find someone ‘washes up’ or that existing connection goes deeper. This full Moon always gives you the ability to negotiate anything from a business deal to that relationship and leave both sides feeling they have got what they wanted from it. This is your house of attraction and the Moon is shining back at you. So, look at what or who is opposite you. This is your reflection in so many ways. If there is someone who you love or even admire professionally, this full Moon wants you to understand they are reflecting back at you qualities that you yourself possess. Your birthday season begins with people, circumstances and opportunities showing you what you are capable of becoming on some level in the coming year. Journey towards it and become that thing. In a nutshell: Happy birthday, Sag! 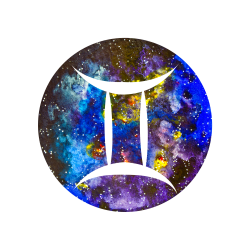 Experience a birthday season like no other thanks to ruler Jupiter also in your sign. The world and people reflect what your future will look like. Look in the mirror! As the Sun enters your 12th, joining retrograde Mercury and Jupiter in here, it’s time to ask yourself just where you may be holding yourself back. Often when things don’t work out the way we hoped they would, we tend to blame external influences. And yes, sometimes these are responsible. But equally likely to be getting in our way of the outcome we want are our thoughts and beliefs around what we think it is possible for us. Fear of success can trip us up just as frequently as fear of failure. This week asks us to face up to what we fear in order to stop the cycle of sabotage. This is our house of the past and this includes past lifetimes. We can even carry our limiting beliefs forward with us from lifetime to lifetime, recreating the same situations as we go until we see the pattern clearly and are able to free ourselves from it. Take time out if necessary to go within and explore whether any of this is true for you. This week’s full Moon opposes that Jupiter in your 12th from your 6th of work and wellness. So, if you are literally ‘getting in your own way’ you’ll be able to see the cause and effect of this clearly. This is Mercury’s house remember and Mercury is retrograde. So, as well as going back over where you have held yourself back, look at your routine, your work and your health and if anything is meh or mundane, come up with a plan to change things. You can revamp that routine, that diet or exercise regimen right away. But if quitting your present job is your dream, please wait until Mercury heads direct again. When you begin to see the obstacles you may have placed in your own path the desire to make major changes right away may be tempting. But if there’s one thing this week wants you to know it’s this: one step at a time when it comes to ditching those habits or thoughts of a lifetime(s). Take it and the next one will become obvious. In a nutshell: One small change can echo through lifetimes. This week allows you to change long term patterns. You’ll shape your future one small step at a time now, Capricorn. Update and upgrade those plans as the Sun arrives in your 11th, Aquarius. This is your house of wishes and your future and here is where you rule! Jupiter in here connects you to your unique superpower. What is it? The ability to create a unique vision. Live that vision now or even revive an old one thanks to Mercury retrograde in here. Jupiter is paying this house a visit for the first time in 12 years. If you read your forecasts regularly you will recall I told you to make three wishes when it entered and to expect at least one to be fulfilled during the next 12 months. If this is an outstanding dream – in every respect, take action on it now. This is your house of reception – what you are open to receiving. Help in goal attainment is one way Jupiter may assist you in making that dream a reality. The people you ‘belong’ with play a role here. Enjoy the company of like-minded souls now as your social life expands and share your vision with them. Believe me, you may be surprised at who wants to share it. The full Moon this week should make this easy. This appears in your house of romance, creativity and where you effortlessly shine and attract attention. Pleasure could be on its way as could bringing what you have to offer to the attention of the right people. Venus is now direct again so love is most definitely back on the table for you if that is on that wishlist. You’re feeling open, spontaneous and loving now. Be a little bit theatrical and get yourself noticed. A romance could ignite under this Moon. Whatever plans you have for socialising – keep them fluid. There’s magic in the air and you could just end up in the right place, at the right time and being noticed by the right person. Whether you’re meeting people for work or fun, expect to create exactly the right impression now. Showcase yourself. In a nutshell: One goal remains relevant and that ‘ever-fixed star’ in your cosmos. This week could send you an opportunity to go for it once more. Believe in it and others will too! Ruler Neptune heads direct in your 1st this week. Neptune is unusual as it spends almost half the year retrograde. Time to listen to your inner voice when it comes to the direction you should now head in, Pisces. How you are seen professionally will be increasingly important now the Sun arrives in your 10th this week. You have Jupiter in here paying its first visit to this house in 12 years. You can make significant strides with long term career goals now. You also have Mercury the planet of communication retrograde in here too. It’s time to put the finishing touches to projects or reevaluate your achievements to date. If you are dissatisfied with your present career, Mercury retro in here combined with Jupiter should make changing direction smoother and easier than at any other time. Look to where you want to get to or achieve, formulate your strategy and wait until after Mercury is direct once again to take action however. If you want a second chance, or to reapply for something however, this week offers your perfect shot so take aim! You’re helped by a security enhancing full Moon in the Moon’s ruling 4th opposing that Jupiter. It dares you to try again, to take a chance on your future. You’ll feel the need for a more secure path and this could even be the security you create for yourself. 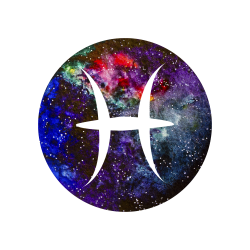 The Moon tends to have us going within and withdrawing but this one is different as Jupiter is telling you to get out from what you think is a safe harbour and try the unknown instead. Funny thing about unexplored territory. Once we’ve travelled to it, it becomes familiar. So, take a chance and go out there. Success could become oh-so-familiar for you now, Pisces. In a nutshell: Take a chance on your future now, Pisces. Dare to ask for a second chance or to try again. Your intuition is your best guide when it comes to success this week. Thank you, Michele Knight, love your work. Virgo is so true for me. Working on visualising my future. 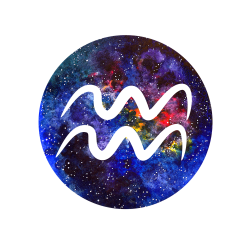 Weekly Astrology Forecast for All Signs November 5th 2018. Wow! Jupiter the planet of good fortune, personal evolution and expansion changes everything!